(Text automatically translated) Historic center of the city, the theater is a quiet and authentic neighborhood. 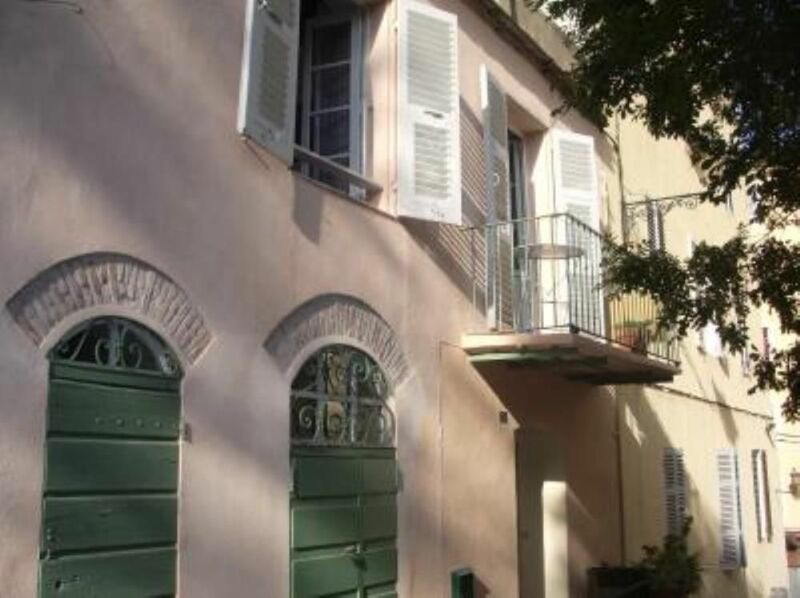 Enjoy this apartment, independent, fully renovated located in a typical street of Bastia On foot, you can discover the many charms of Bastia and enjoy the benefits of the city. Shops, restaurants for all tastes, bars and nightclubs, cinemas, theaters and cultural events variées.En cold weather, heating and more. Excellent central location, central Bastia is 5 mins walk. Cute cottage style apartment suitable for a single person or couple. Simple but adequate accommodation. There is a sofa bed for more but might be a bit too crowded for more than two. Shops and restaurants are close by. Central, quiet, clean, simply furnished but fully equipped. A few maintenance hitches, but recommended for people without mobility issues (steep slope, some steps). A kind owner with little English but a will to help. "Very nice and charming apartment. Best for 2 people but more is ok. In the middle of historic town, close to shops and frequent busstop." "Everything was ok, studio quite good, close to the city centre and shops (of course). There were all equipments what we needed in the studio. The owner of the studio was kind and helpful." Impasse très calme, tout en étant au centre de Bastia.